The little known condition of 'Airportitis', experienced by many business travellers, has a surprisingly simple, yet innovative cure. But what exactly is Airportitis and what are the symptoms? A condition brought on by frequent and unnecessary business air travel. Symptoms include: Brutally-early wake-ups, economy-seat-induced cramping and personal space invasion, partial deafening due to screaming babies and appetite loss due to sad-looking meals served with even sadder looking cutlery. Known to spread quickly in bustling business environments. 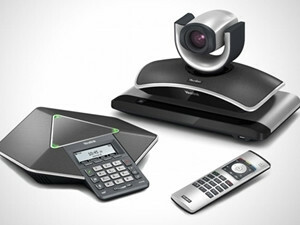 The cure is Yealink's one-stop Video Conferencing Solution, recently launched in South Africa through Platinum Yealink Distributor Even Flow Distribution. 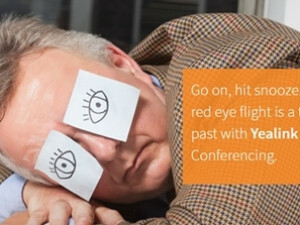 More and more business people are trading in the red-eye for virtual meeting environments. The sharp quality of Yealink's one-stop Video Conferencing Solutions provides a truly immersive experience at the touch of a button. Users are achieving greater collaboration over distance, increasing the speed of decision-making and saving time and money by just staying put. Concerned about complicated equipment setups? Don't be. Plug-and-play simplicity makes Installing Yealink's one-stop Video Conferencing Solutions quick and fuss-free. And thanks to Yealink's unique industry-intelligent firewall, there isn't even a need for firewall configuration. Bonus! This nifty solution provides high-quality video even under fluctuating network conditions. HDD 1080p video only requires one megabit of bandwidth and contains a soft client, which enables you to dial in from wherever you are on your PC or smartphone, using a WiFi, 3G or 4G network. One-button USB recording function allows you to easily review and share important conferencing documents and there are no extra charges for advanced features for software. There's no need for squishing up either. Systems are available for all-sized meeting rooms and video phones are available for desktop video. Can't make it to the office? No problem. VC Softclient software is available for mobile video. There's simply no reason to suffer from Airportitis! Visit www.airportitis.co.za to find the right remedy for you.